In this state, it's not possible to open the box. 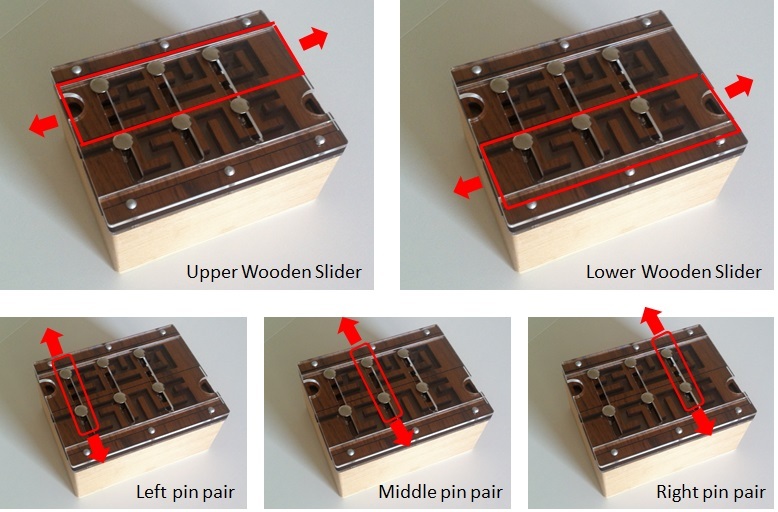 However, the lid has five moving elements: two wooden sliders that can move from left to right, and three pairs of pins that can move up or down. The pins always move in fixed pairs. 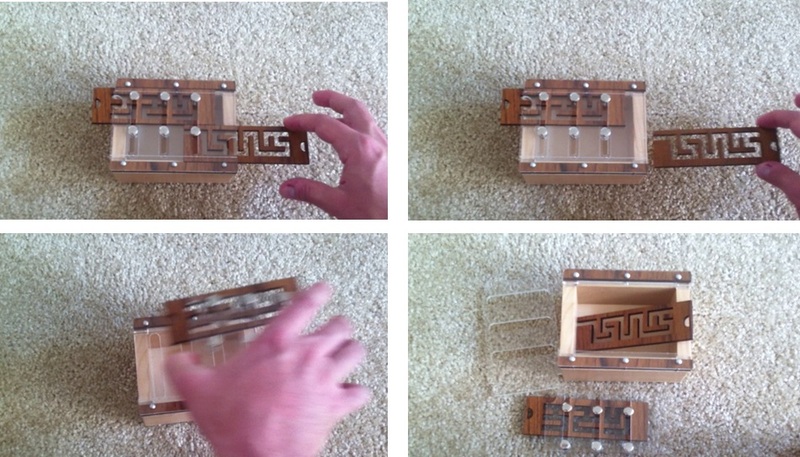 You can also watch a video here to further illustrate how the box works. Notice that the lower slider has an opening on the left side. 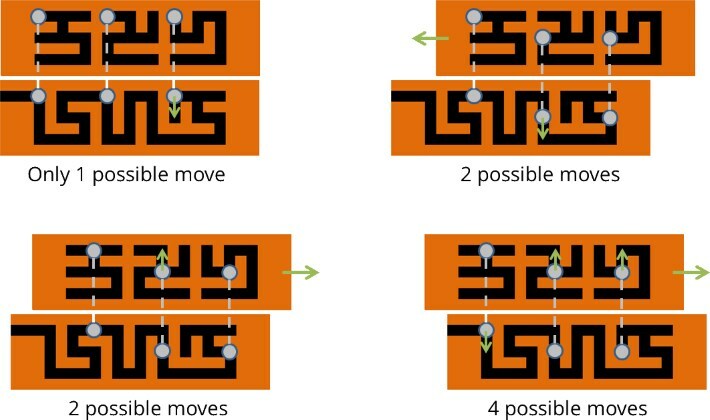 Through a series of moves on the pins and sliders, it is actually possible to remove the second slider from the box. The box is very cleverly designed such that removal of the second slider will actually allow you to open it. 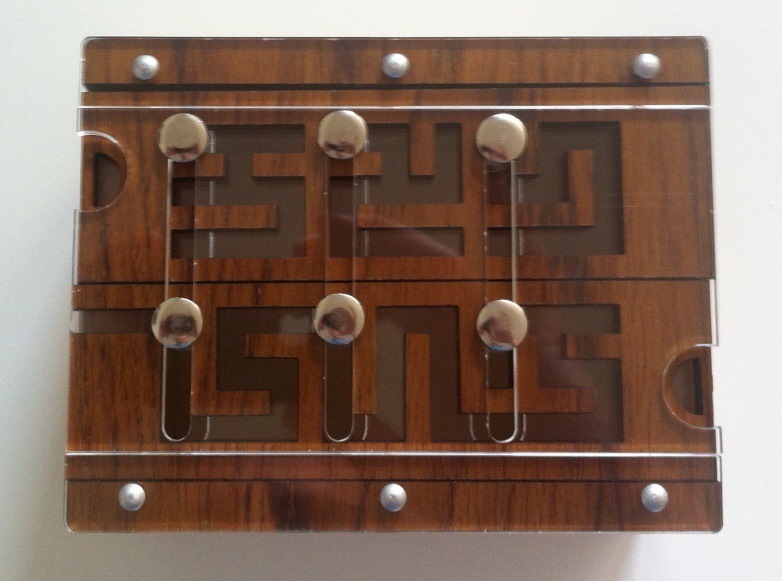 You could, of course, solve this puzzle through logic and patience. But that's not what we're here for. Rather, let's write a Python program to do it for us! 2. Let's call one single motion of a wooden slider or pin a "move" (no matter how far or where you move that pin or slider). 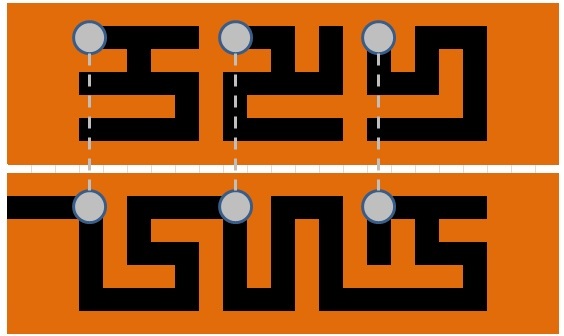 For example, moving the upper slider, then the middle pin, and then the upper slider again would count as three moves. What's the minimum number of moves to get from the starting configuration to the target configuration of Problem 1? 3. 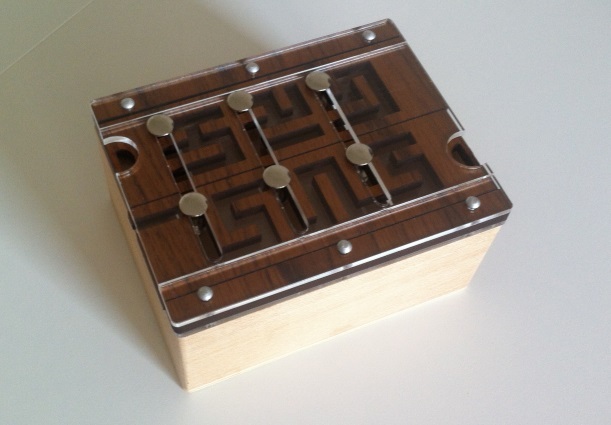 Having solved the secret of the puzzle box, you now want to pose a challenge to your friend. Since you are devious, you want to put the box back together into a configuration that will take the most moves to solve, that is, the hardest initial configuration (because it takes the most moves to come to a solution). Since you love aesthetics, too, both sliders must be in their original position, that is, not overlap the box anywhere. What is this hardest possible configuration? Is it unique?